This is a group of gluten free grains that can be made in whole form (similar to couscous in appearance and texture), or used as a flour. When I buy it whole, I usually get the pearled Millet because it is the easiest to find. Bob’s Red Mill makes both the flours and the pearled variety (also pretty inexpensive at around $3.00 a bag). 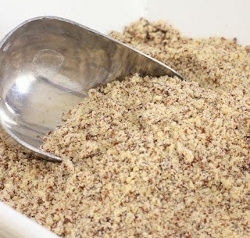 In general, Millet has a mild taste and can be used in several ways. I like it best as a flour to help build my cauliflower pizza crust, veggie burgers, or as part of my breading for chicken. I also use it to make biscuits due to its mild flavor. 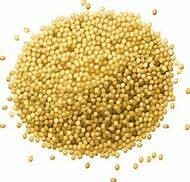 Millet is also high in antioxidant activity and in magnesium. This gluten free grain is a powerhouse of nutrition that has been popular in Africa for centuries. It apparently leads all the grains, by a wide margin, in its calcium content. I read that a cup of cooked Teff provides the same amount of calcium as a half-cup of cooked spinach. It is also rich in protein, iron, and fiber. I have seen it in whole grain form (it is as small as a poppy seed), but I prefer to use it as a flour. It is darker in color, similar to buckwheat with chocolate-like coloring. I have used it in everything from brownies to muffins to pancakes and raw desserts. It is a little more money than some flours, but it is worth it for the nutrition and versatility. I buy Bob’s Red Mill Teff flour, but there may be other brands available in your area. Brown rice is pretty self-explanatory and most people are familiar with it. Do your best to buy good quality, plain brown rice (Non-GMO); not the processed and pre-seasoned stuff. It is also a good gluten free flour substitute for cooking and baking. Be careful how much you use in a recipe because it can have an after taste, like the chickpea flours often do. It is rich in nutrients such as magnesium, vitamin B-6, and fiber. Arrowhead Mills and Bob’s Red Mill both make brown rice flours that are fairly similar in pricing. *FYI, you can eat white rice too, but it has less nutrients in it. Also known as sweet white flour, Sorghum is like Millet in several ways; it looks like little round balls, is a little darker tan in color, and it can be made into flour. Reasonable price too. 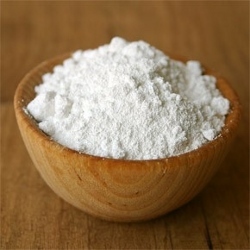 It is a mild tasting and looking flour that can be used in recipes that require either a flour blend (such as baking, breading) or flour for binding. If you buy it whole, you can grind it into flour if you have a high speed blender like Nutribullet or Vitamix. It is also rich in many vitamins, fiber, and protein. 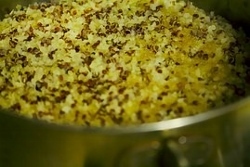 Sorghum is also an alternative to corn, when making popcorn, for those of you with a corn allergy! You can put a ½ cup of these little balls of sorghum into a small brown paper bag, roll the top down so it is closed but has room to move around, and then pop it in the microwave for 30 seconds at a time until you hear popping! Yes, it will make mini popcorn that looks and tastes just like popcorn, and is so much fun to eat! The kids love it because it looks like baby popcorn. Bonus part is…it is healthier and has more nutrients than popcorn! You can add salt, cinnamon, butter, or whatever you like to make it an enjoyable snack. This nutrient and protein rich food is ‘all the rage’ lately. It is actually a seed, but it is cooked and eaten like a grain. I remember eating it years before anyone could even pronounce it! 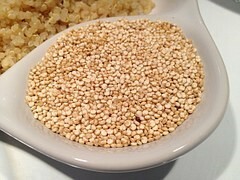 Quinoa provides all 9 essential amino acids making it a complete protein. You can buy it in its whole form; it comes in yellow, red, or black and is shaped like very small circles. You can also buy it as a flour or flakes (the flakes are used for hot cereals and some baked items). When it cooks, the grain grows a bit in size and it grows a little curly-Q shaped tail. I highly suggest rinsing your whole quinoa through a very fine strainer because it can sometimes taste bitter. It cooks much faster than other grains and is quite versatile in recipes. I use it for things like quinoa salads (like a tabbouleh), add it to soups and stews, make breakfast cereals, use the flour for baking flatbreads, muffins, and more! By the way, I make sure to buy quinoa products that are made separately in processing plants from other wheat based products. I have found that quinoa made on shared equipment seems to give me tummy issues, but this is not true for everyone on gluten free diets. I use Ancient Harvest, truRoots, Bob’s Red Mill, and Earthly Choice. This flour is packed with fiber, protein, and is lower in fat than coconut oils and chips. You can use coconut flour to substitute for up to 20% of a flour blend in things like cakes, pancakes, cookies, etc. I add 1-2 Tbsp of this flour to a smoothie sometimes for added nutrition. I have also used it to bread shrimp for ‘coconut shrimp’. There are many companies that sell coconut flour; I have tried a few including Hodgson Mill’s version, Bob’s Red Mill, and Let’s Do Organic. They vary in price, but have been similar at my local stores. Don’t let the name fool you, it is actually a naturally gluten free food. Buckwheat comes in two forms, as whole groats or as a flour. 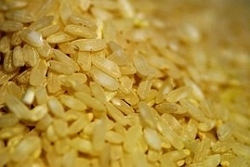 The groats can be served as an alternative to rice or made into hot cereals like porridge. They take a while to cook and have a kasha flavoring, which some people love and others dislike (I am not a fan of the groat). The buckwheat flour is extremely nutritious because in addition to being a good source of fiber, protein, magnesium, and potassium, it is also rich in flavonoids. The taste is different from the groat and reminds me of flax’s nuttiness or Teff’s richer flavors. As a flour, it is dark in color and resembles cocoa. I often mix it with cocoa for recipes because they pair well together. Be careful when you buy buckwheat products; sometimes they are mixed with wheat (e.g. in soba noodles, you will often see buckwheat AND wheat) and therefore, NOT gluten free. Arrowhead Mills and Bob’s Red Mill both make buckwheat flours. There are a wider variety of groats on the market as well. If you buy a good quality, unsweetened cocoa powder, it can be a wonderful asset to your kitchen. I use it in smoothies, baked goods, cold cereals, and raw desserts. A little bit goes a long way, so be careful not to use too much! It is not sweet (hence unsweetened) and has a strong chocolate yet bitter taste. I find that if you use the right amount, it will add the most wonderful chocolate-y flavor to your food while providing you with a ton of iron! Flax seeds are small and brownish seeds that are similar in size the sesame seeds. They are very low in carbohydrates but high in nutrients. 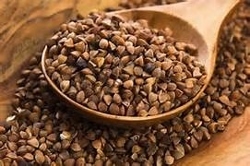 They are the seeds of the flax plant, from which linen cloth is made, crazy right!? Flax seed has a pleasantly nutty taste if it is fresh. Although I have bought and used flax seeds for muffins, breads, and crackers, I much prefer the flax meal which comes in regular and golden. If you have a coffee grinder or Nutribullet, it only takes a few seconds to blend it up from seeds to meal. You can also buy the flax meal all ready to use. It is a wonderful egg substitute, like chia seeds, and it can be used in smoothies or even to bind some recipes like veggie burger or meatballs. Flax is loaded with nutrients such as fiber, lignans, and omega -3s. It is best to keep your flax products in the refrigerator for longer lasting freshness. Tapioca flour and starch are essentially the same thing, but they are labeled differently by some companies. Tapioca flour comes from the root of the cassava plant. If you have ever seen or eaten tapioca pudding, this is the same plant product. 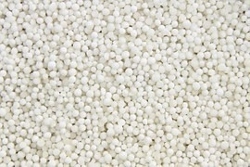 The flours and starches are the tapioca pearls that have been ground into a flour. 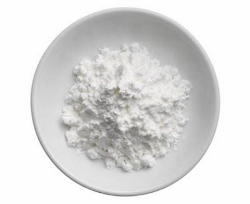 Tapioca flour/starch adds structure to gluten free baking. It also helps give things a chewy and/or crisp texture, especially in things like cookies and cakes. Be careful not to use too much because it can add a less desirable taste to your baked goods. I have used it as a thickener in soups, sauces or gravy, but I actually prefer to use cornstarch or arrowroot to thicken since their flavors are milder and the overall finished product is better blended. A mild flavored, potato based starch (not a flour!) that works well in casseroles, thickening sauces and can be used in some baked goods. Most recipes where I have used it only call for a small amount. This mild flavored starch is similar to potato starch and works well in baked goods as well as thickening sauces, puddings, and pies at lower temperatures. This starch is pretty popular in the cooking world and is also mild in flavor. It seems to work at higher temperatures, so be careful not to add too much while your recipe is heating up; you’ll end up with a blob of sauce instead of a creamy one! 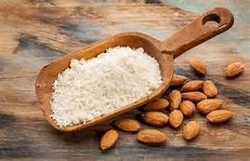 Almond flour, almond meal, hazelnut flour, hazelnut meal, and other nut based flours are also great gluten free substitutes. I do not use them in my cooking because I eat a LOT of nut products and I like to vary my diet as much as possible. I encourage you to explore these types of flours if they appeal to you. Black Beans, Chickpeas (a.k.a. Garbanzo), Fava Beans, Soy Beans, or a blend of these are all gluten free flours that can be used in baking. Some gluten free folks (including me) find that some bean flours cause tummy distress, but this is not true for all people on gluten free diets. The blended flours are readily available at grocery stores where they sell other gluten free products. Sometimes, the taste is completely hidden in the recipe – you would NEVER know – but other times, there is an after taste. You just have to find the right balance of ingredients. You can also use them as whole beans to make a variety of recipes from soups/stews to sautés, dips, and spreads. I go into greater detail about recipes in other sections of my blog. My husband and I have bought black bean pasta many times and love how high it is in protein! Lentil bean pastas and chips are all the rage at the moment, so join the fun and try one out! 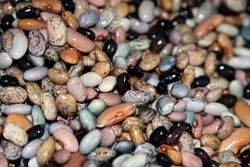 Beans get a bad reputation for several reasons, but they are actually really good for you. However, if you suffer from Candida or are watching your levels of inflammation for health reasons, be careful which beans you consume and how much of them you eat. Just for those who are not aware, if you are baking with gluten free flours, you’ll need to add a gum or one of their substitutes to your recipe. 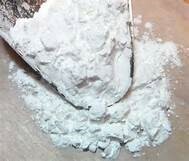 Xanthan and Guar gums are often added to gluten-free flour mixes to add structure to baked goods. If you’re sensitive to gums, there are substitutions out there on the market though.